I have often tried to imagine the message in Jesus’ eyes when He looked at Peter. Whatever it was, Peter melted with remorse. I have also tried to imagine the scene at the Judgment when the Lord turns to look at the many judges, and attorneys, and politicians who, for the sake of power and privilege and money, called light dark and dark light, and trampled innocence under their feet. I have also many times tried to imagine the scene at the Judgment when the Lord turns to look at the many pastors, bishops, priests, teachers, and deacons who, for the sake of power and privilege and money, denied God's unchangeable truths. What will His look be like for them who twisted His word and the historic teaching of His Church until it was no longer recognizable to any of the prophets, apostles, and saints seated with Christ in the heavenly places? I have also many times tried to imagine the scene at the Judgment when the Lord looks at the many who called themselves "lay Christians" but who, for the sake of power and privilege and money chose their own broad path to the Lord's narrow gate, who scoffed at the idea of a righteous Judge to whom we must all give an account. Peter repented of His sin and denial. But when the Lord looks at those who corrupted His truth during their time on earth, they will have no opportunity for repentance – though they will have plenty of time for remorse. And they shall weep bitterly for the eternal judgment awaiting them. Let us pray they will not delay their repentance and remorse until that day. 1. I’d much rather let others tell me what to believe about God, about sin, righteousness, and judgment. 2. If I don’t read the Bible, I can sin without the pangs of conscience telling me I am wrong. 3. I’m already baptized. I receive the sacraments. I don’t want or need any more of God. On the other hand, if you want to begin a regular reading of the Bible but don’t know where to start, type into your internet search browser this phrase: Bible Reading Plan. If you are Catholic type: Bible Reading Plans for Catholics. You will find many plans from which to choose. 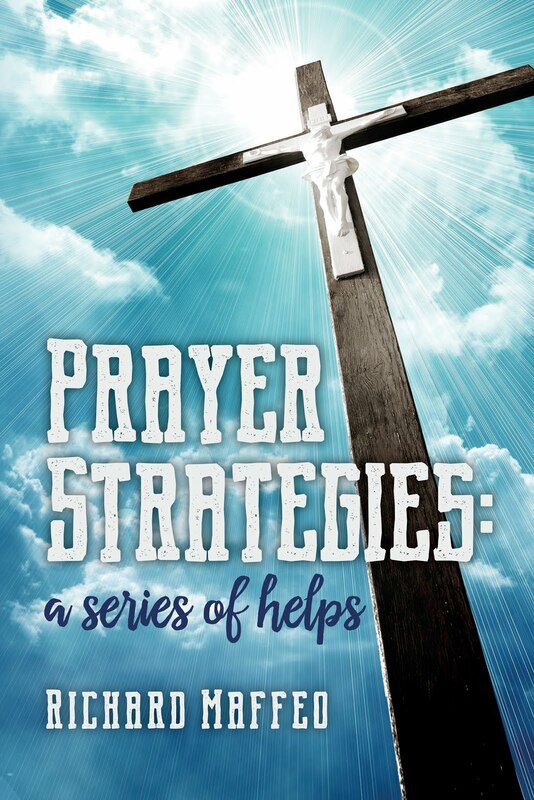 This post, last published in 2010, formed the basis for my book, “Prayer Strategies: A Series of Helps.” It is available virtually free on Kindle (99 cents) and not much more than that in hard cover. Anyway, sometimes I'm asked what method I use during my time of prayer. Truth is, I don’t have so much a method as I have a relationship. The distinction is not simply semantics. Relationships are built over time. Methods can be developed or copied in a few minutes. 1. I spend an hour each morning with the Lord. I rarely miss a day through the year. To help myself settle into the attitude for prayer and meditation, I listen to one or two recorded Christian hymns or other worship songs through headphones. Then during that hour I read at least two chapters of the Bible. (I also read two every evening). 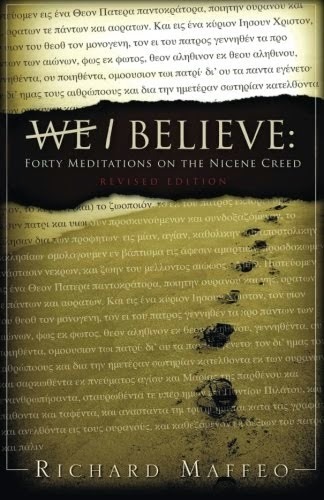 Over the course of the last thirty-seven years I’ve read the Bible dozens of times. In addition, Scripture memory has always been an integral part of my relationship with Christ. I have memorized hundreds of verses, and can paraphrase hundreds more. This treasury of God’s word in my heart aids my meditation as the Holy Spirit brings those texts to mind to teach me something fresh or (more often) remind me of something I’d forgotten. 2. My reflections, meditations and prayers during the remainder of the hour are really birthed in my daily decisions to bring my will into conformity with Christ’s. One of the books that has helped me understand the importance of obedience is The Practice of the Presence of God, by Brother Lawrence. Brother Lawrence wrote that he would not so much as pick up a feather from the ground without permission from the Lord. It is that kind of obedience to Christ, even in the minutia of daily activities that I try to strive toward. However, I am learning such obedience does not happen in a vacuum. It requires many decisions during the day to either obey Him or rationalize why I do not have to obey. But each correct decision makes the next one easier. Lectio divina is an ancient form of prayer often associated with the monastic tradition. As I read from the Bible I ask myself what the writer was trying to convey to his readers. Then I ask what the Holy Spirit might be trying to convey to me in the passage. As I ponder the questions, I mull those thoughts over and over. Sometimes I will begin memorizing a particular verse in the text and speak it back to God as a form of prayer. O Jesus! Hear me. 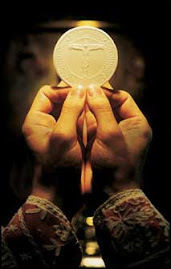 From the desire of being loved, From the desire of being honored, From the desire of being praised, From the desire of being preferred to others, Deliver me, O Jesus. That others may be loved more than I, That others may be esteemed more than I, That others may be praised and I unnoticed, That others may become holier than I, provided that I may become as holy as I should O Jesus, grant me the grace to desire it. Have you ever wondered what your life would be like today if you never said, “Yes” to Jesus when He called you? Kind of like a George Bailey (It’s A Wonderful Life) 'what if' speculation. (By the way, if you ‘still’ have not said yes to Him, please read on anyway. I end this essay offering something for you, too). Of course there’s no ‘for sure’ to the ‘what-ifs’, but if you’re past the age of 40, you have enough information to extrapolate where the many crossroads of your life would have likely taken you if you’d never answered Christ’s call on your life. I met Jesus in 1972 while on the Yokosuka Naval Base. If I’d turned Him away, I’d have never met the many sailors and marines and their families I was so privileged to meet while stationed there for three years. I would likely have chosen to make a career out of the navy . . . but knowing the wanderlust I struggle with even to this day, I doubt I would have stuck it out for the 20 years. If I had rejected Jesus in 1972 I never would have met the best friend and lover I could ever have hoped to know and love in return. Nancy and I would never have had our three children – who have blessed our lives immeasurably. I’d have never gone to Bible College, or seminary. Never taught a Sunday school class or led others to a saving faith in Christ. I never would have ended up a registered nurse, never returned to the navy and then retire as Commander. I never would have had the unspeakable privilege to train new generations of nurses in the art and science and service of nursing. If I’d turned Jesus away in 1972 I’d likely have gone though two or more wives, had children with each of them, and probably not on speaking terms with any of them because the only role models I had of husbands and fathers were the two terrible examples I grew up with during childhood. If I’d turned Jesus away in 1972 when I was 22, I’d be 66 today, probably sitting in an apartment somewhere by myself with a ton of of regrets about my life -- and wishing in vain it had been different. But – and this really is the central point of my speculative reminiscing – knowing God as I know Him today, if I had turned Jesus down in 1972 and now sat at my keyboard wishing my life had been different – it would not be too late for my life to change. The very fact that I’d be wishing it’d been different would be enough of a move toward God that He would then move toward me – and offer me a new beginning, beginning today. I like to speculate what life would have been like if my life had taken a wrong turn 44 years ago because those speculative trails lead me to the glorious truth of how much I needed Jesus in 1972, and how much I still need Him today. You can still have a new life -- starting today. Just look at the stripes sliced into your back. my blasphemies, my pervasive rebellion against you. What can I say for the scars of my sins carved into your body? of your incomprehensible love for me. Oh my God, thank you, Lord, for saving my soul. Oh my God, thank you, Lord, for making me whole. But not free for you.